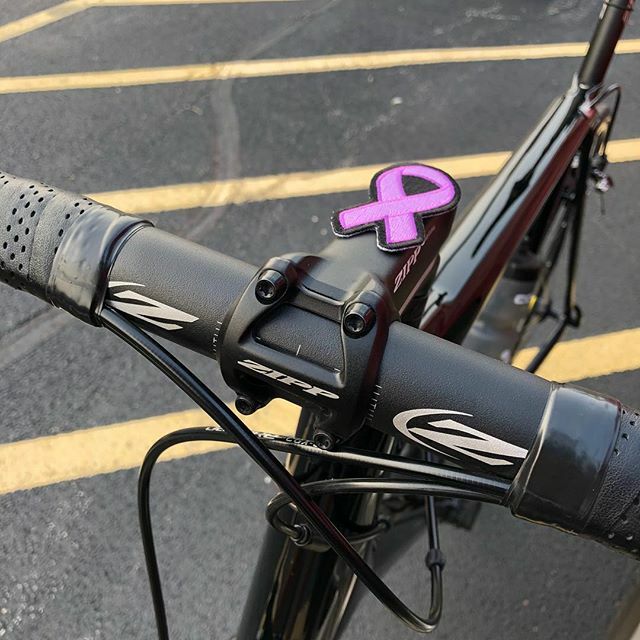 The husband of a sarc warrior is planning an ambitious fundraiser, cycling 5,000 miles to raise $50,000 for sarcoidosis research. My wife, Barbara, was diagnosed with pulmonary sarcoidosis officially in 2008 (though we suspect she had it long before her official diagnosis) and cardiac sarcoidosis in 2015. Living with a disease like sarcoidosis is difficult for the patient, of course, but sarcoidosis also effects the family as well. Truthfully as a spouse, there is a learning curve. Barbara was always an active person and that tenacity is still there every day, yet the sarcoidosis gets the best of her on some days. Learning to identify those days as a spouse is where the learning curve comes in. I cannot speak for every patient of sarcoidosis since the disease presents itself so differently patient to patient. With Barbara though, there are just some days where, regardless of the plans, regardless of the day, that we just have to slow it down, call an uber or stop altogether. I know in these times Barbara feels bad, sometimes even guilty. She is a driving force in our family and doesn’t like to stop on account of anything, illness included. Communication is so important in these times, and candidly I was not always the best at knowing when to slow down. Barbara and I have learned over the years the importance of communicating with one another about what is going on with her illness. This is where we step in as a family, to reassure her its ok to stop, its ok to slow down, we can do it another day. As the parents to 5 children, Barbara and I have learned the value of tiny moments together as well. 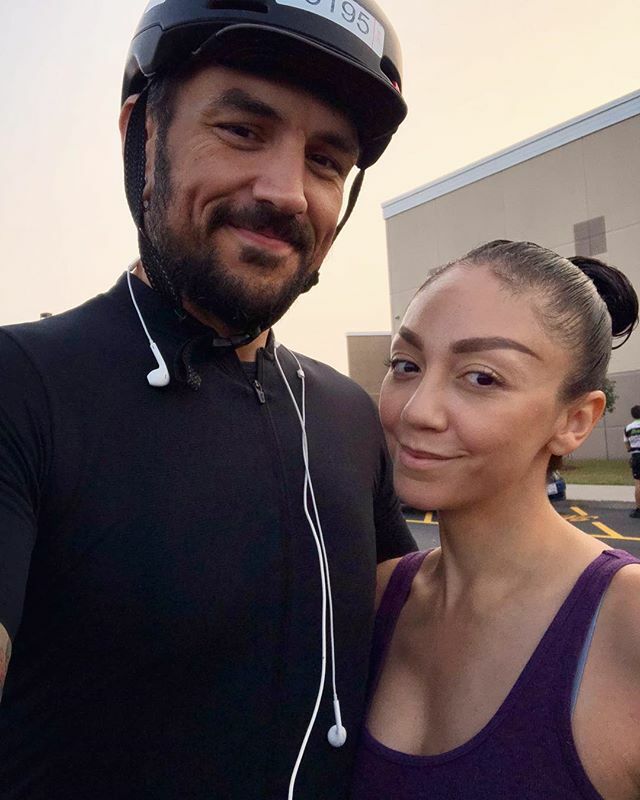 A simple walk around the block together, holding hands, gives us the time we need to connect again and is manageable for us on some of her worst days. It is frustrating to me that so little is known about this disease. Which is why, as difficult as I know it is for each patient, we believe it is crucially important to participate in as many studies as possible so fellow patients can benefit from the research and development of treatments. Barbara inspires me every day with her willingness to participate in patient studies, research programs, and her ability to connect via social media with other patients to provide her perspective, and advice on how she manages her illness. On my side, I wanted to raise awareness through fundraising and my passion, cycling. I have always loved riding bikes, but mostly as a method of transportation, and had never done any serious distance riding. Earlier this year I participated in my first Bike the Drive. It was 30 miles and I finished in roughly an hour and half. 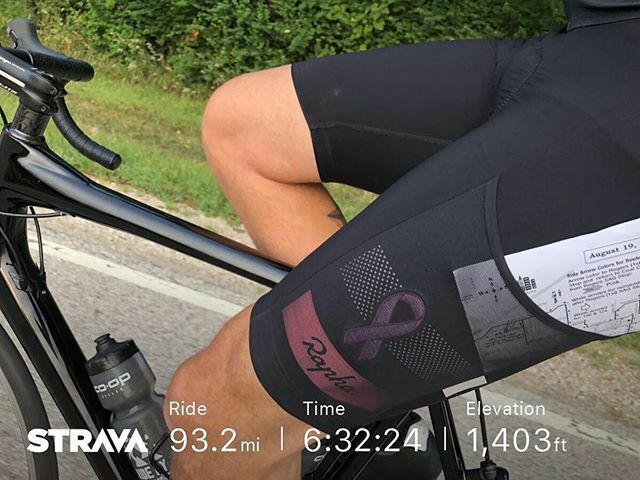 A fellow cyclist told me about another charity ride called Le Tour De Shore, it was a two day 100 + mile ride from Chicago to New Buffalo, MI. 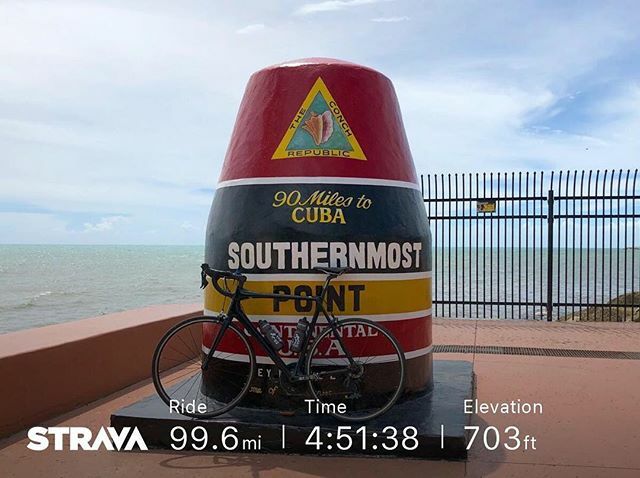 That’s when things got crazy… The idea to ride a century (100 miles) in every state came shortly after that finishing Le Tour de Shore. I began fundraising, with the long term goal of 50 states, 5000 miles and $50,000 for The Foundation for Sarcoidosis Research. Barbara and I grateful for the work they do for patients facing sarcoidosis and hopefully, with the generous support of others, will be able to complete our fundraising goals very soon. To learn more about Dan and Barbara’s fundraiser or to donate to their cause, click here!